This isn't quite a game review, but it is a review of a handy little tool that every gamer will want. This tool is a plastic snipper, razor blade, and screw driver (interchangeable phillips and flathead). It is is really convenient. The big scissors cuts right through plastic blister packs, cord, and tie wraps. It's really convenient. The razor blade is recessed and there's a safety mechanism to prevent it from hurting anyone inadvertently. The razor blade makes opening games as easy as any razor blade would - just one slash across the top and the plastic comes off. 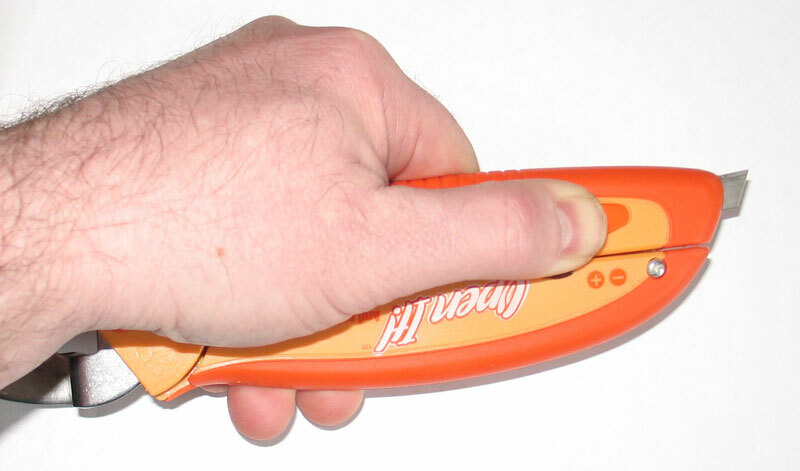 The razor blade is short and only comes out when you press the safety catch, which makes it both safe and effective. There's not much else to say about it. The thing works as described. It feels solid and well constructed. I don't think that it will break easily. It is by far the best tool I've encountered for cutting open blister packs or those hard plastic clamshell that they put toys and electronics equipment in. You don't have to worry about cutting a finger off if you use the built in safety for the plastic snips. You can get more info on Open It! from EnjoyZibra.